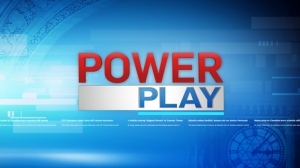 New Brunswick Premier Blaine Higgs is predicting that Justin Trudeau will be hit with political blowback in the Maritimes if there is a carbon tax in place during the fall election. 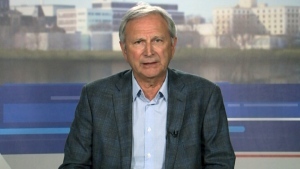 During an interview on CTV Question Period, Higgs said his province, more than any other, would be hit the hardest by a federally imposed carbon tax. "If you look at industries here, you look at the state they’re in environmentally, we're starting from a whole different point of view. I don't have five coal plants to close," Higgs told host Evan Solomon. "We don't need more tax, and that’s the goal." Higgs has been a vocal opponent of the carbon tax, joining the ranks of premiers in Manitoba, Ontario and Saskatchewan, as well as Conservative Leader Andrew Scheer in their crusade to axe the tax. New Brunswick has also taken on intervener status in the legal challenges Ontario and Saskatchewan launched against the federal government. Higgs said that if that tax goes ahead, he believes there will be political blowback on Trudeau in his province. The Liberals swept Atlantic Canada in the 2015 election, winning all 32 seats. However, there are warning signs heading into the 2019 election that a repeat of that wave could be a tall order. One key indicator was the New Brunswick provincial election last September, which saw the Liberal government fall to Higgs' Progressive Conservatives by an exceptionally small margin. Trudeau has stood behind the carbon tax. He says 90 per cent of the money Ottawa collects from the price on carbon will be returned to Canadians. The prime minister has also slammed critics of the carbon tax as wanting to "make pollution free again." Higgs doesn’t think the carbon tax will only mean electoral trouble for the Trudeau Liberals. Higgs also believes it will have a "negative economic impact," but stopped short of using the word recession. Higgs previously told the CBC that he agreed with a statement made by Ontario Premier Doug Ford. Last month, Ford said: "I'm here today to ring the warning bell that the risk of a carbon tax recession is very, very real." "I was asked if it was going to have a negative economic impact on our province, and I appreciate what Premier Ford said about the impact it's going to have in Ontario and I absolutely agree, it’s going to have a negative impact on our province," Higgs told Solomon. Multiple economists have pushed back on Ford’s claim that the carbon tax could trigger a recession. In response to the pushback, Ford’s staff cited a Conference Board of Canada study to back up the recession claim. But Robyn Gibbard, one of the authors of that study, disputed the claim in a Twitter post. "At no point in our research paper do we say that the carbon tax could cause a recession. We specifically describe the overall economic impact as 'small,'" he said. Other provinces have also had carbon pricing plans in place for some time without economic catastrophe. British Columbia, for example, has had a price on carbon for 10 years and leads the country in terms of economic growth.